maintenance of buildings and equipment. 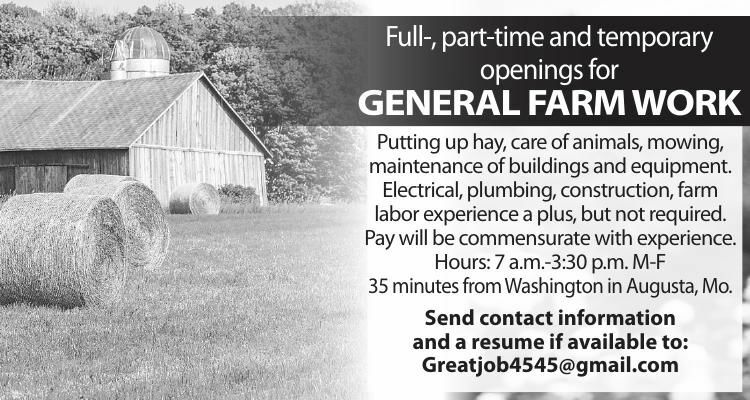 labor experience a plus, but not required. 35 minutes from Washington in Augusta, Mo.